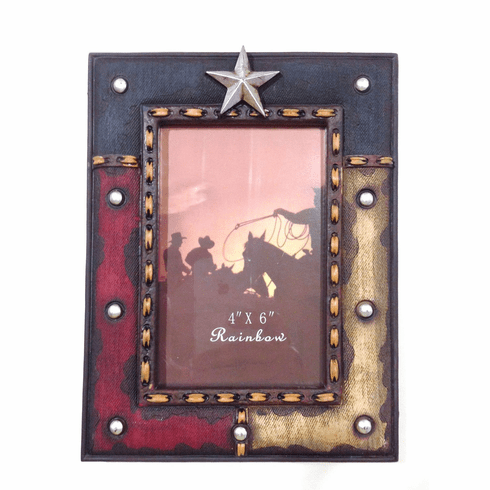 Pictures and photos look really great inside this Texas inspired photo frame. The self standing frame hold 4x6 image and can be placed on a flat surface such as a shelf desk or table. Painted red white and blue like the Texas flag the weather design looks old and rustic.